The Black Narcissus is Michael Powell and Emeric Pressburger’s crowning cinematic glory. Their 1947 film is a richly layered psychological melodrama that manages to engage through the visuals more than the script. The film follows a group of Anglician Nuns lead by Deborah Kerr’s Sister Clodagh as they attempt to establish a convent high in the Himalayas. However, the extreme conditions and indigenous culture gives them more than they bargained for. 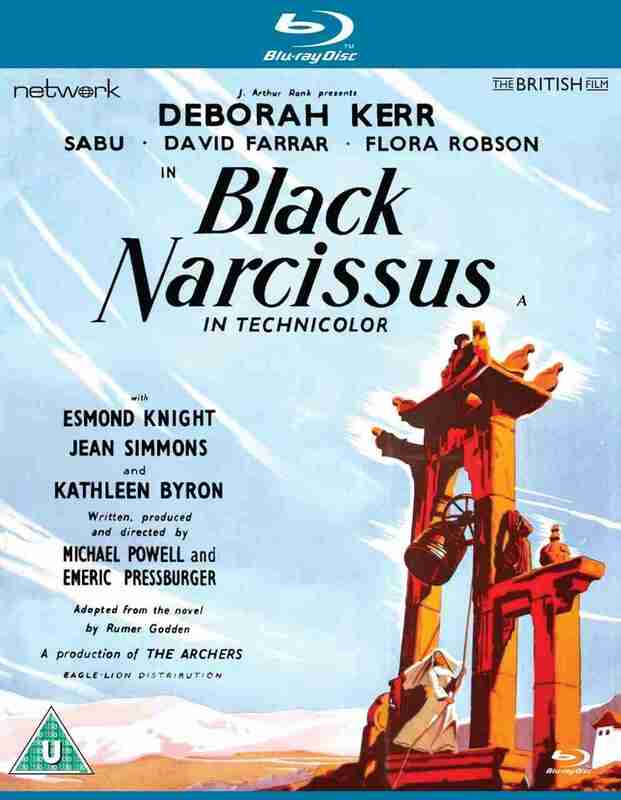 In a modern world, The Black Narcissus would be played as a horror film, and while Powell and Pressburger’s film does dip deep into psychological horror, it is more of a melodrama, and it’s these melodramatic moments which will make the film feel a bit staid to a modern audience (that and the make-up effects). What makes The Black Narcissus special is Jack Cardiff’s luscious Academy Award winning cinematography. The Technicolor film looks like a moving canvas from the Renaissance Period. It’s one of the best uses of light, shade and colour ever to be committed to celluloid. You can almost see the oil paint dripping from the screen. Assisting in Cardiff’s work is the splendid matte painting that the film utilises to create the impressive Himalayan vistas. It’s mind-boggling to think that it was all filmed within the confines of a studio lot and even more impressive when you consider that it was done in 1947. Powell and Pressburger’s The Black Narcissus is an impressive cinematic feat and a technical marvel. The film has aged on a storytelling level, but the astonishing visuals make this a must for film fans and scholars. The Black Narcissus Blu-ray comes with plethora of remarkable extras that heighten the experience (to Himalayan levels.) Chief amongst them is an archive commentary from Powell and director Martin Scorsese. However, it’s best not to belittle the many documentaries, which have input from the late, great Jack Cardiff (I had the pleasure of meeting him once – he was a gentleman as well as an artist), Scorsese and Thelma Schoonmaker-Powell (Michael Powell’s widow and Scorsese’s long-time editor). This has everything you would ever want – and more.